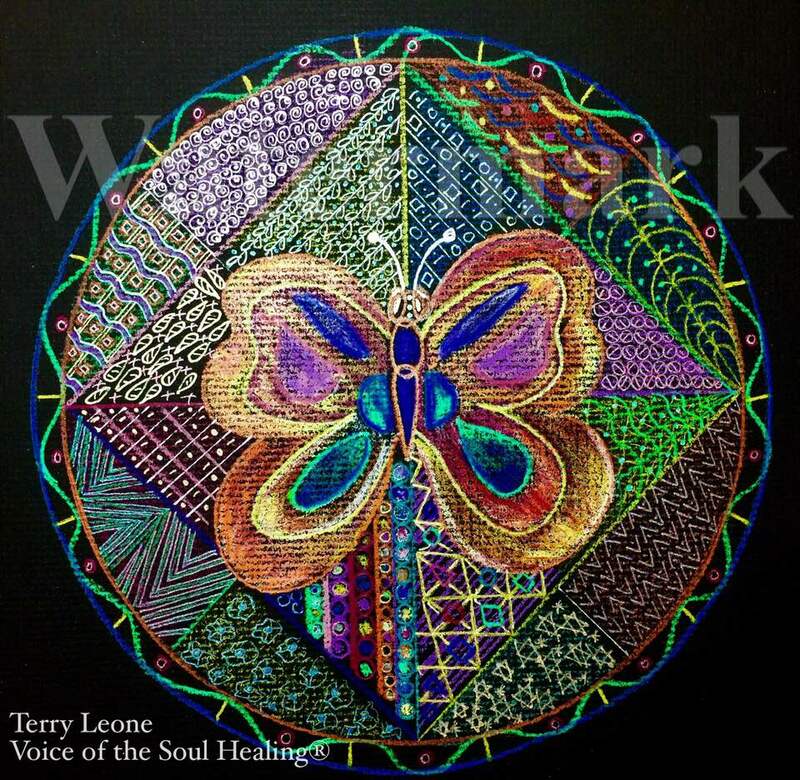 "Thank you once again for the treasure of Sacred ownership of one of your works of Divine Art. 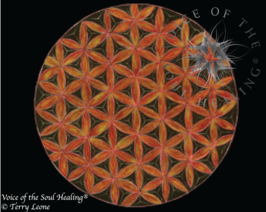 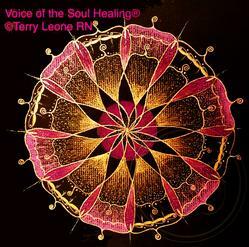 of the mandala is to serve as a tool on our spiritual journey. 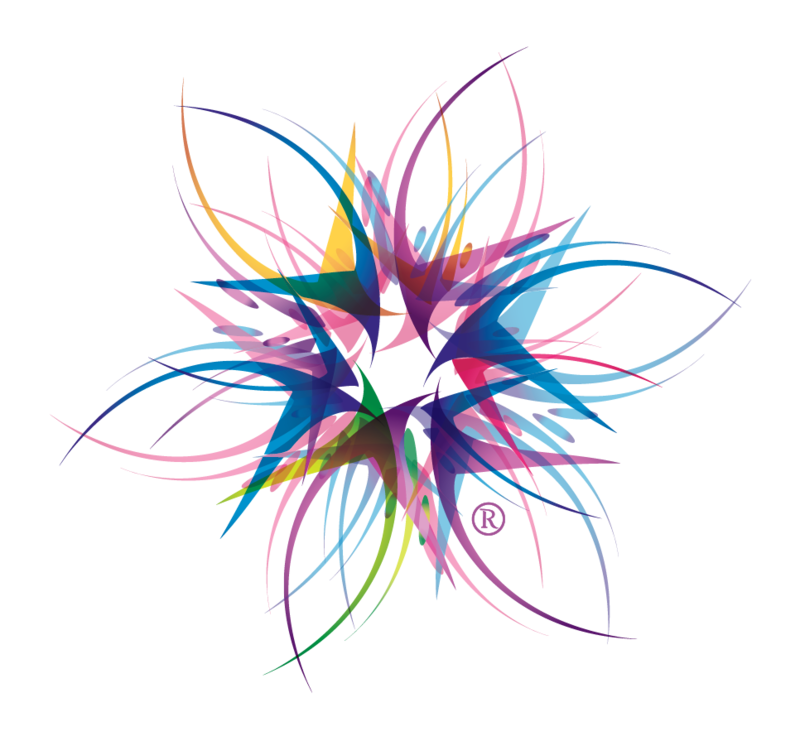 creative hemisphere of our minds to run a little more free while our analytical mind is at rest. 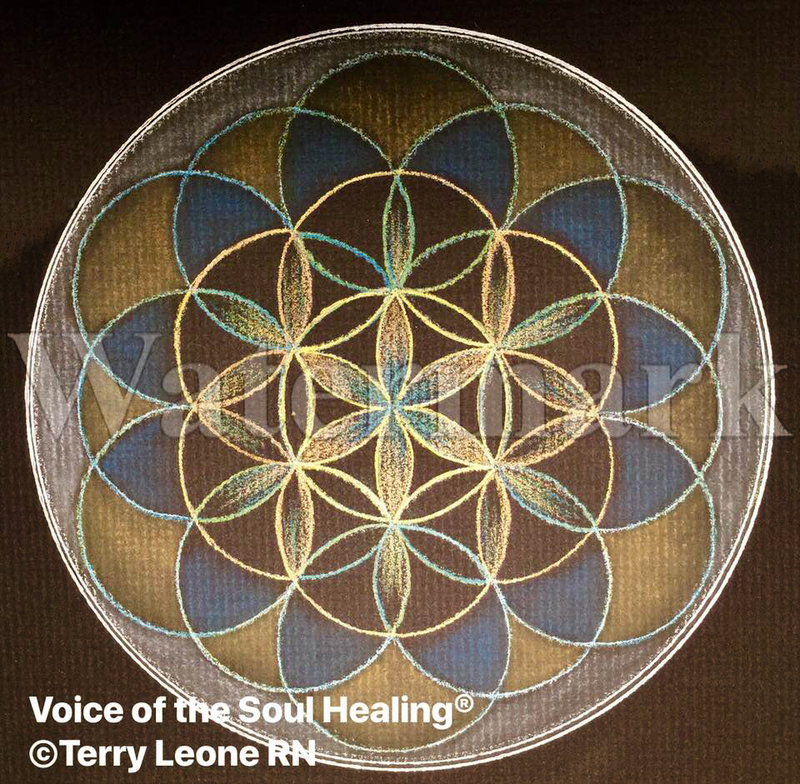 One can use the mandala as a form of meditation for the purpose of gaining insight. 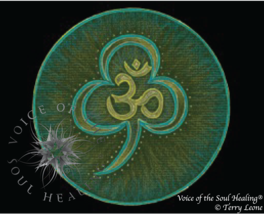 Before meditating, you can set an intention. 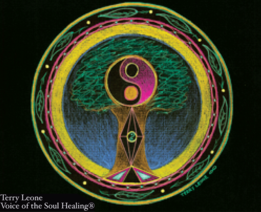 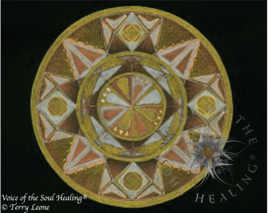 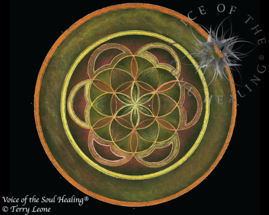 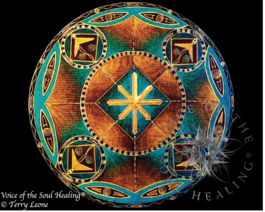 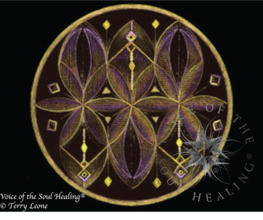 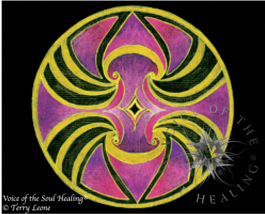 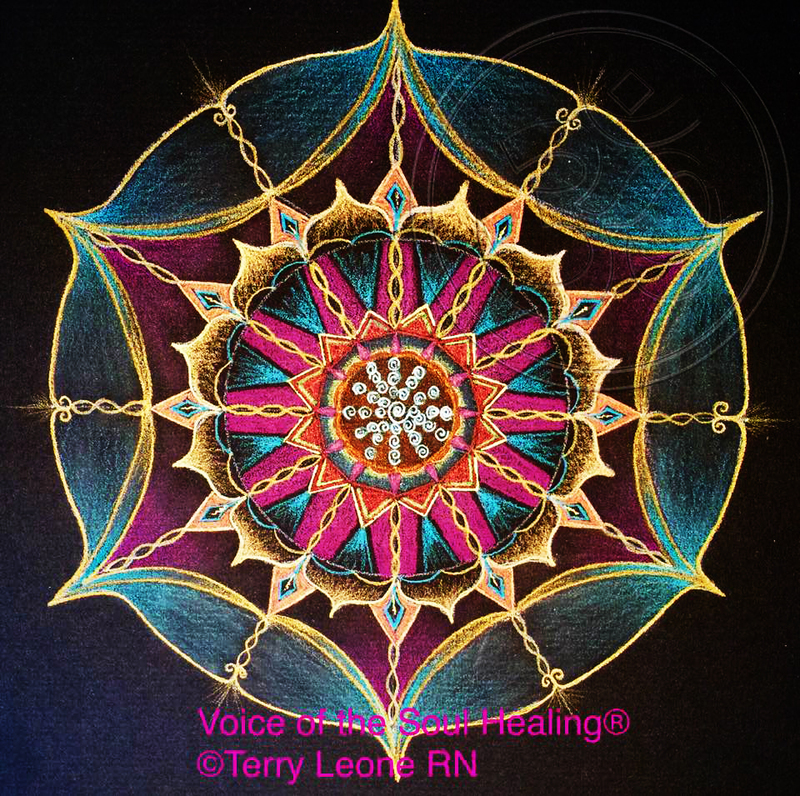 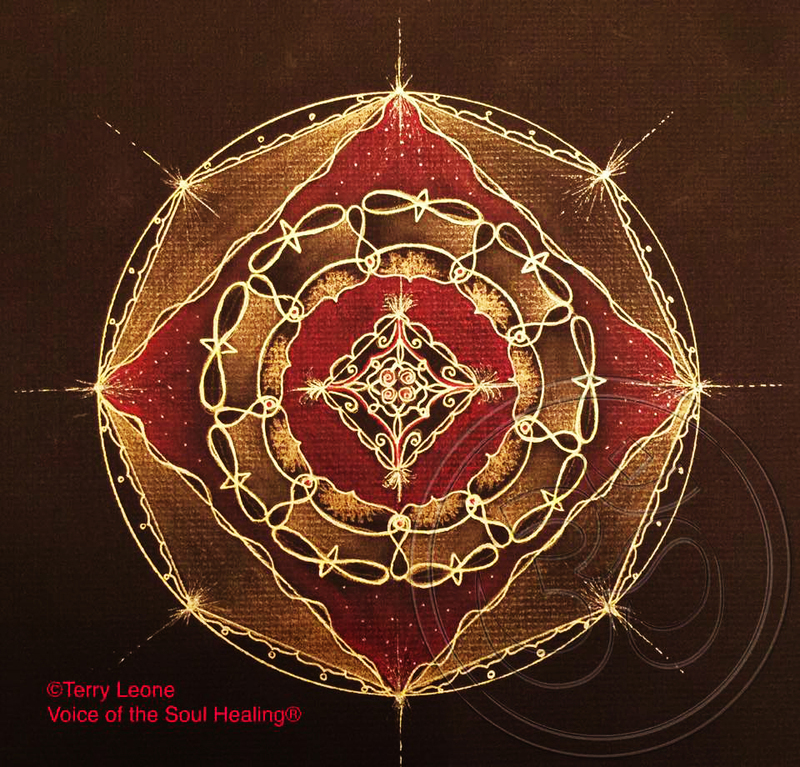 Connect with a mandala that resonates with you. 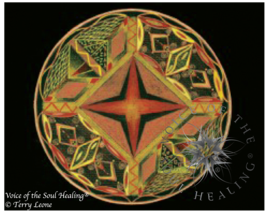 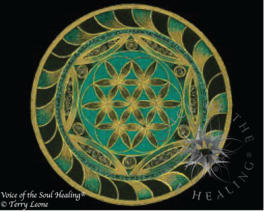 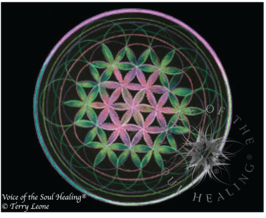 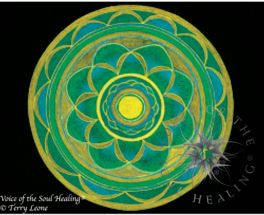 Let your being take in the beauty of the design, allowing your energies to become one with the healing energies of the mandala. 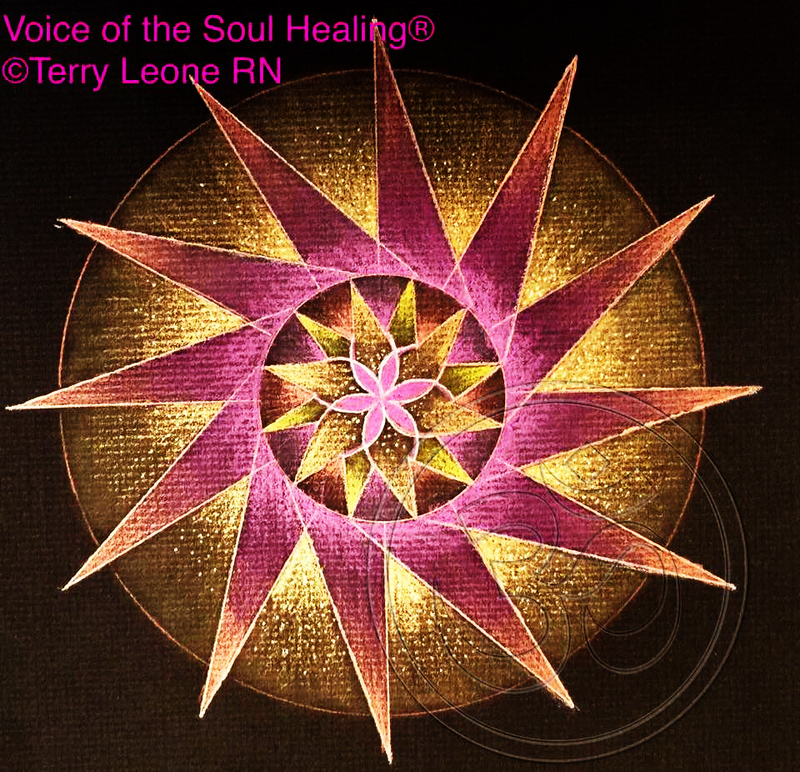 If your mind begins to chatter, simply bring your attention back to the balance and harmony of the mandala. 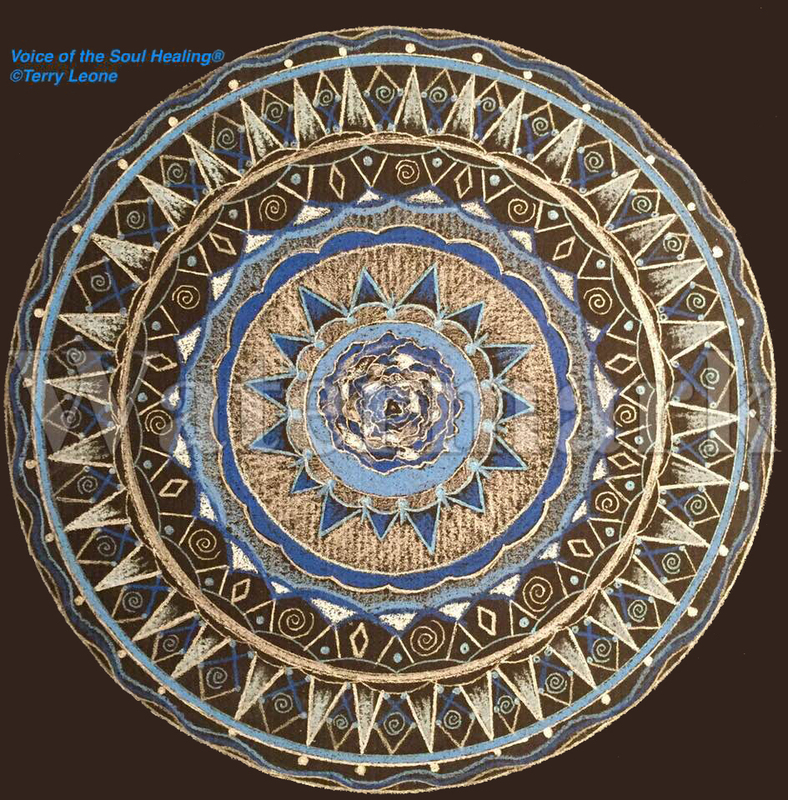 Immerse your soul with the soul of the mandala, feel the oneness. 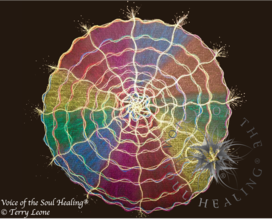 Relax and “be” with the thoughts and feeling that come to you. 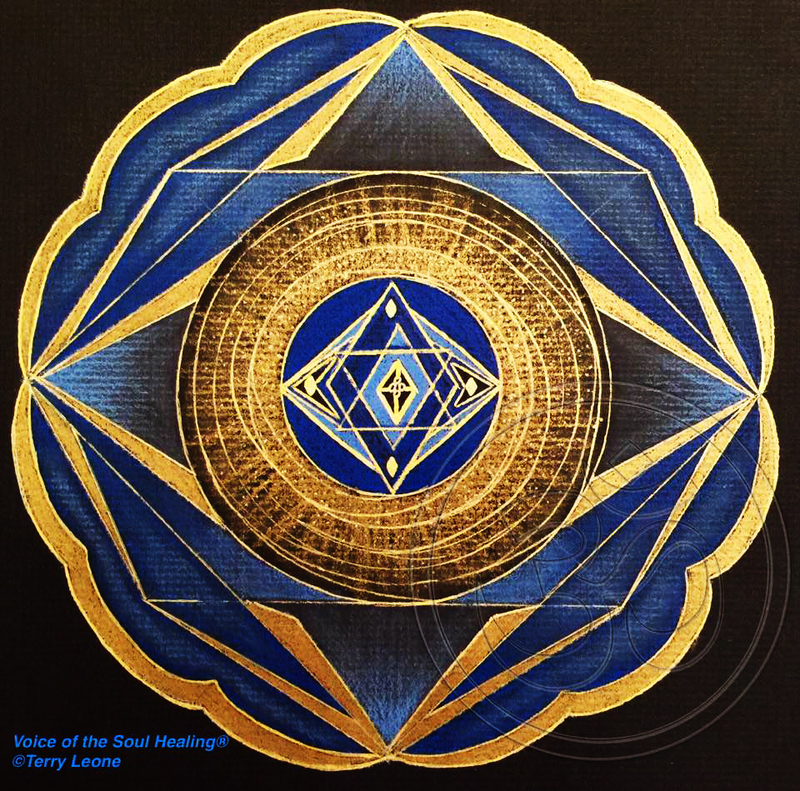 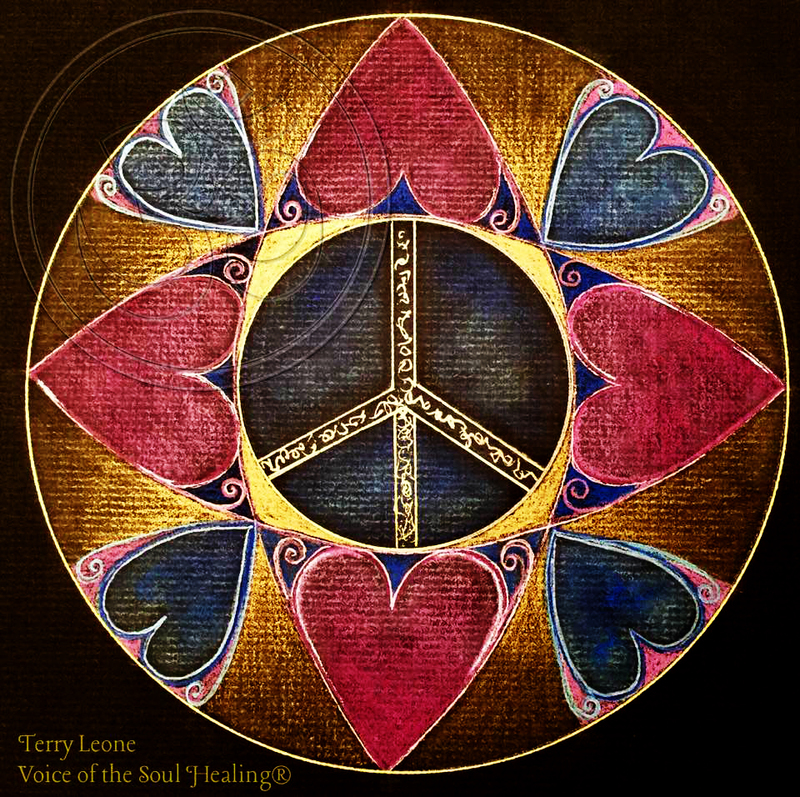 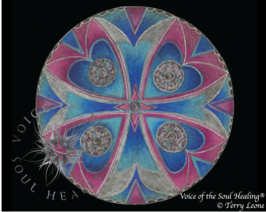 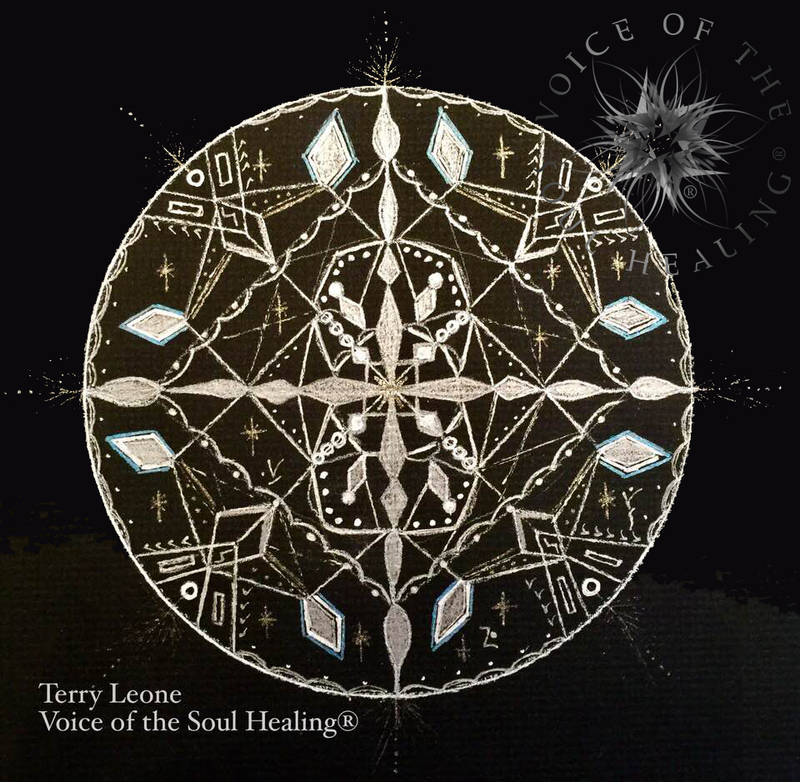 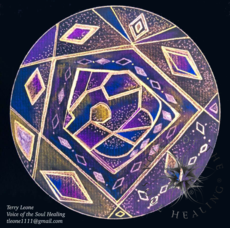 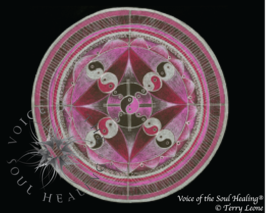 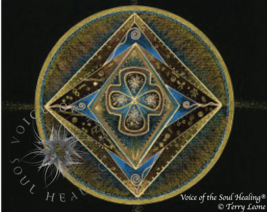 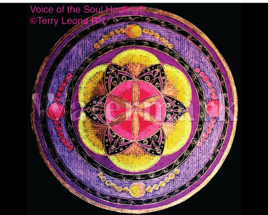 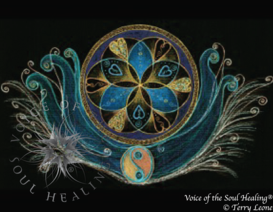 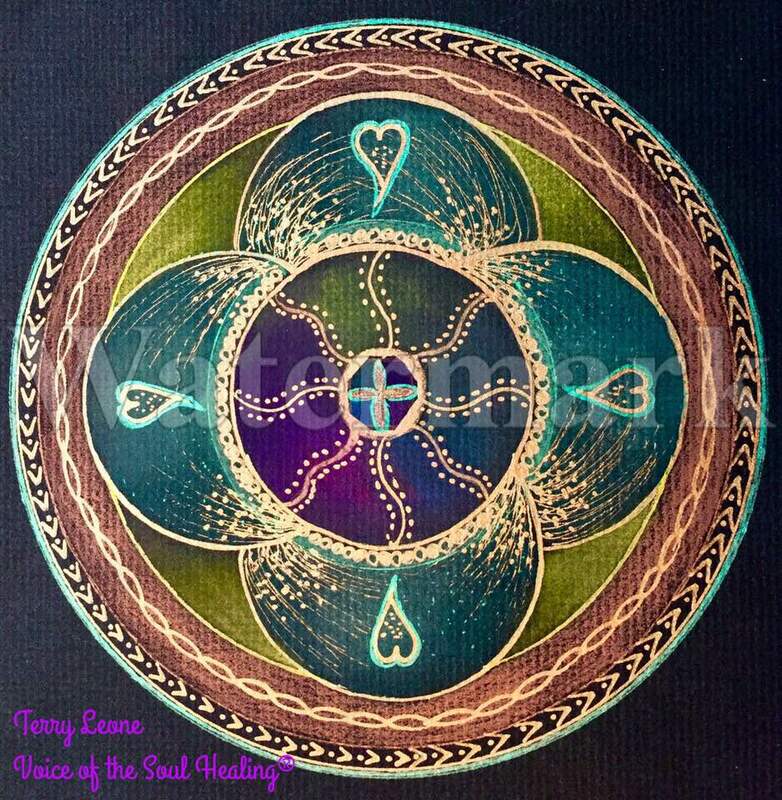 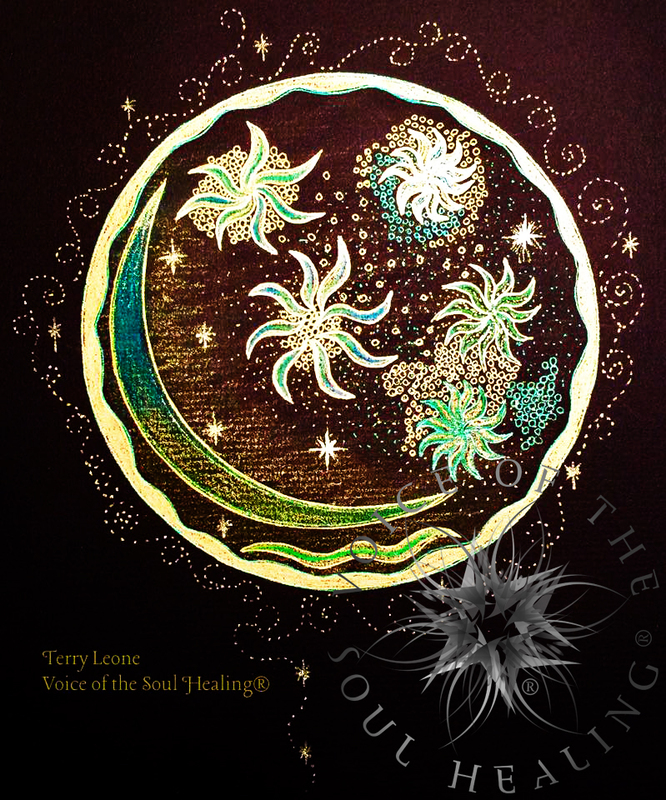 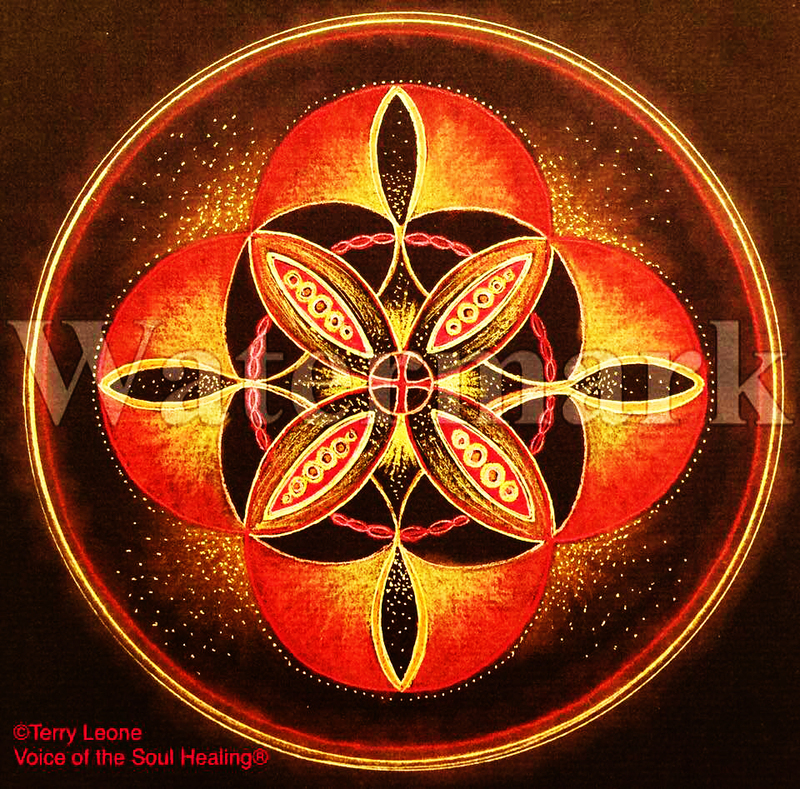 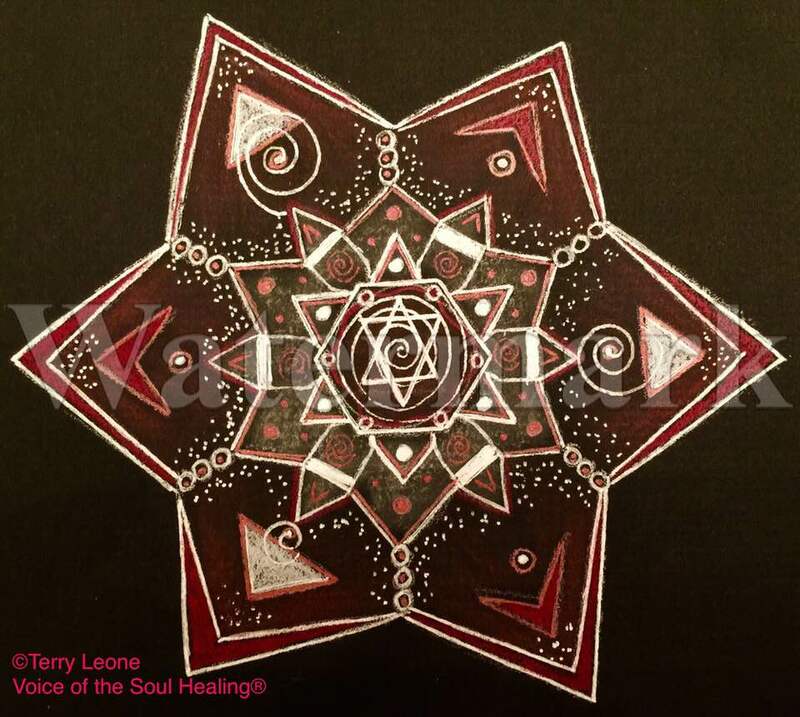 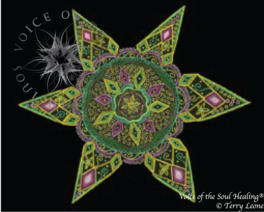 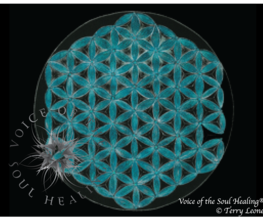 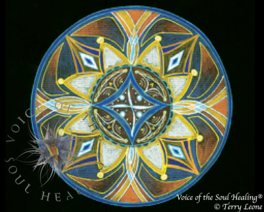 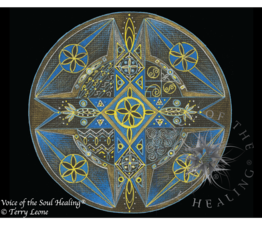 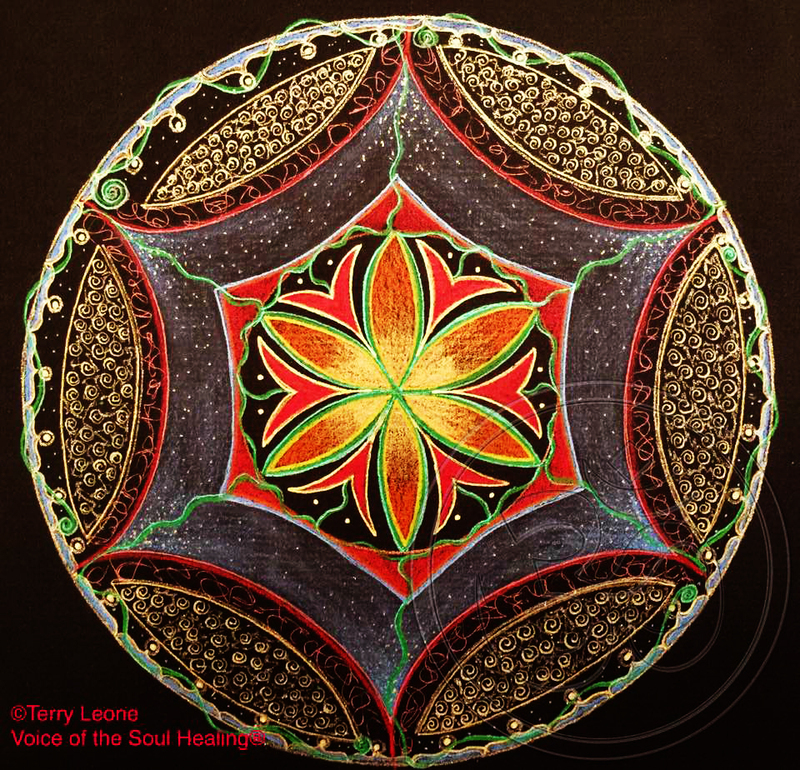 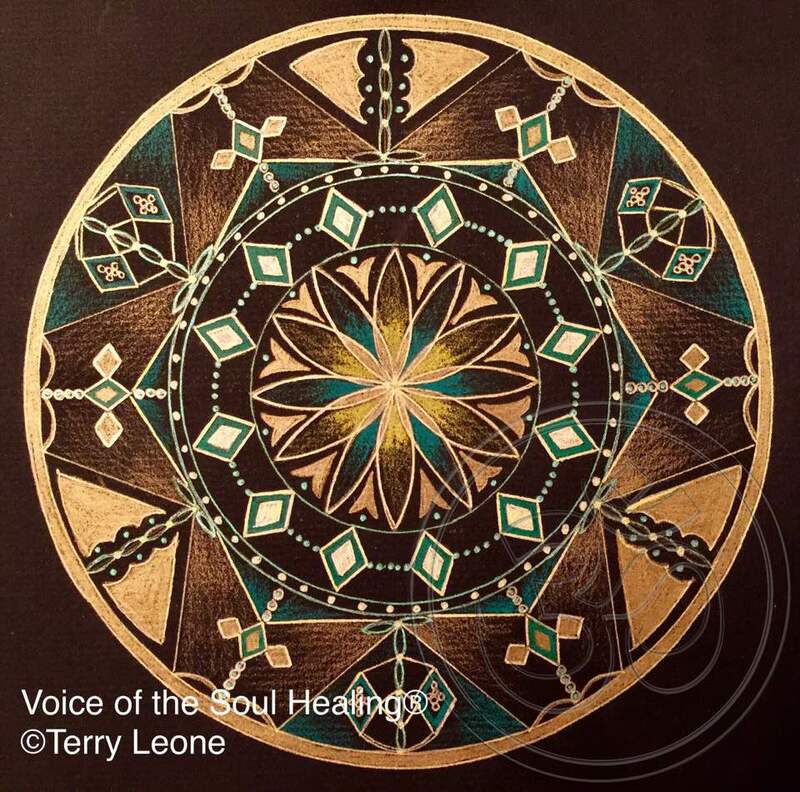 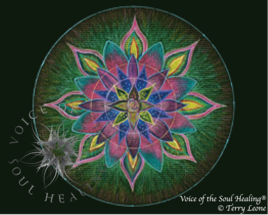 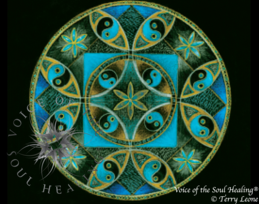 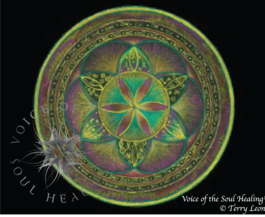 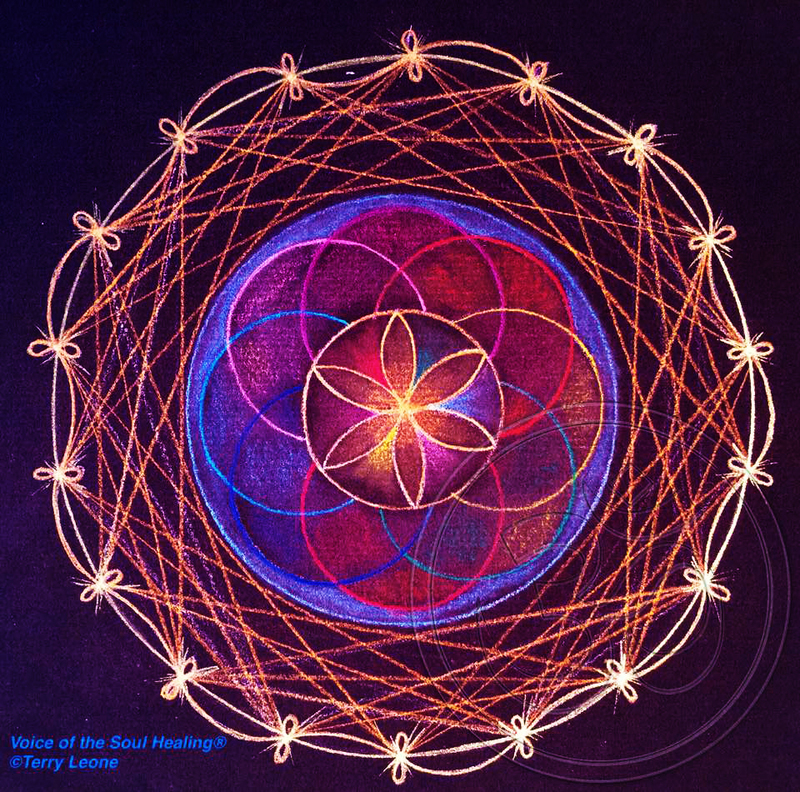 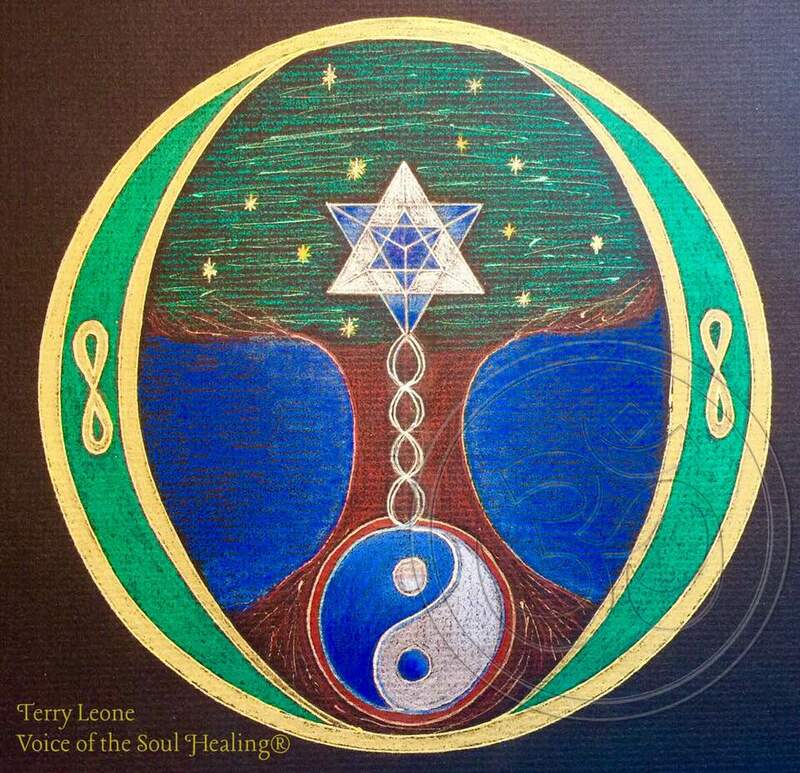 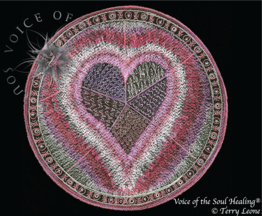 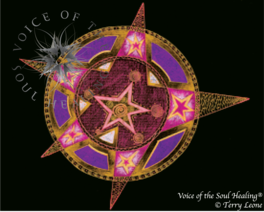 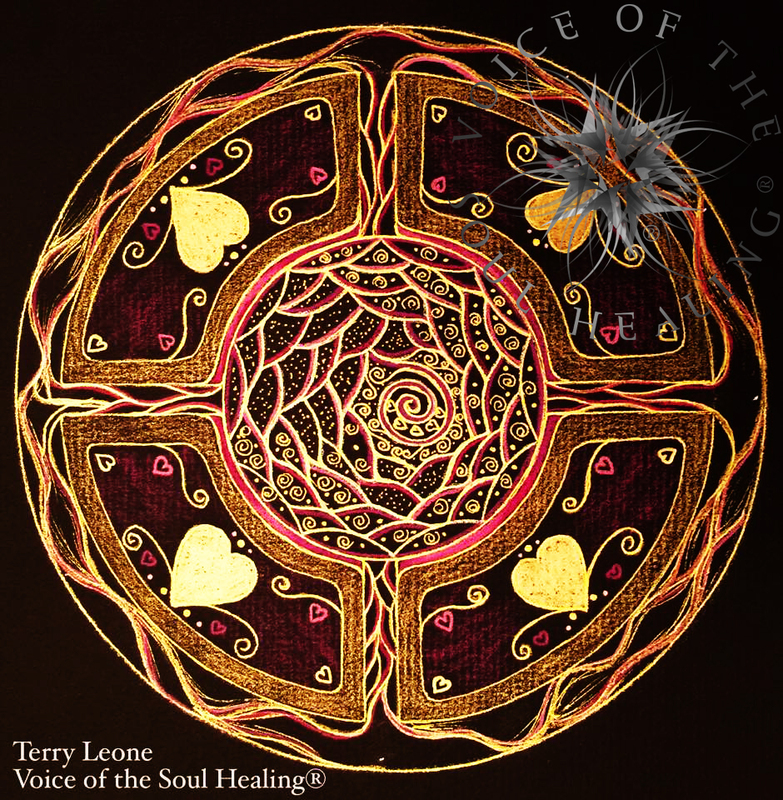 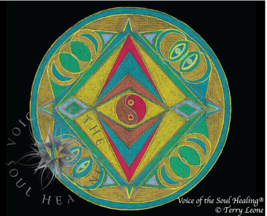 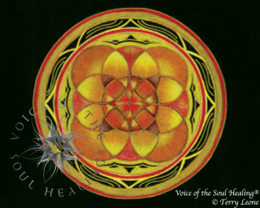 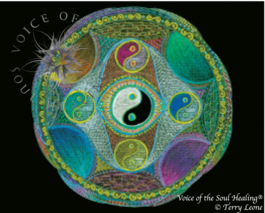 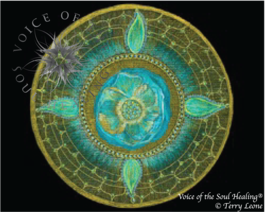 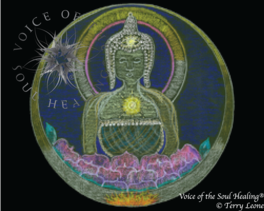 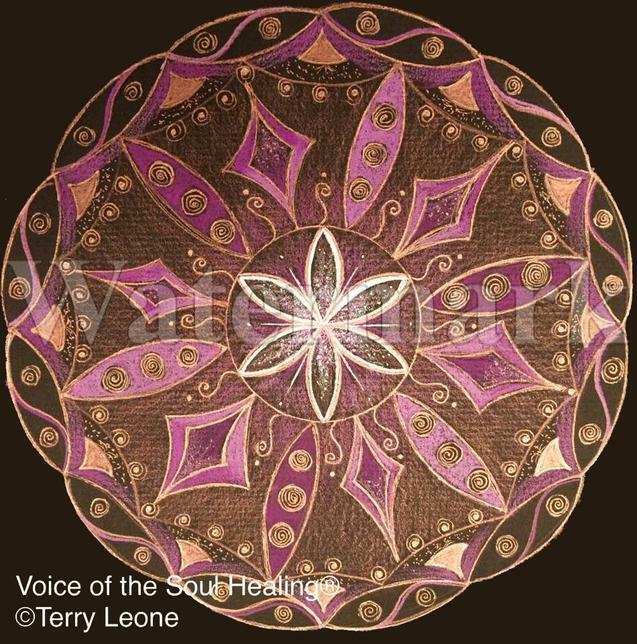 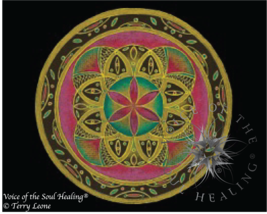 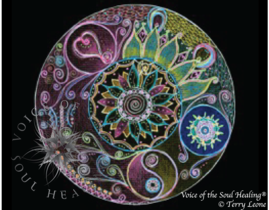 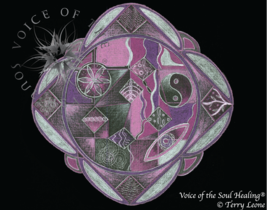 EACH UNIQUE MANDALA IS HAND DRAWN BY TERRY USING HIGH QUALITY COLORED PENCILS AND METALLIC INK PENS. 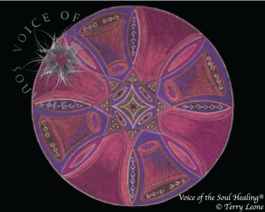 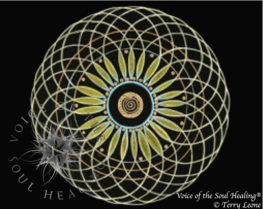 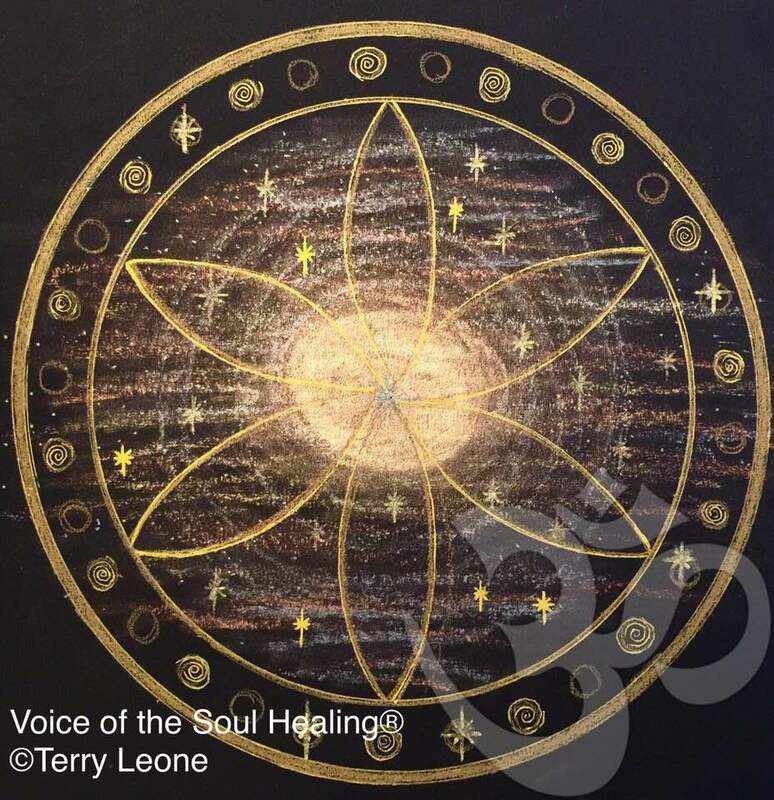 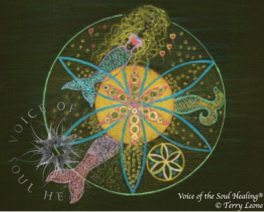 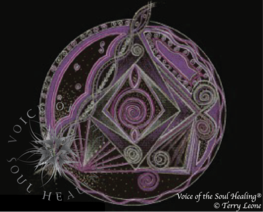 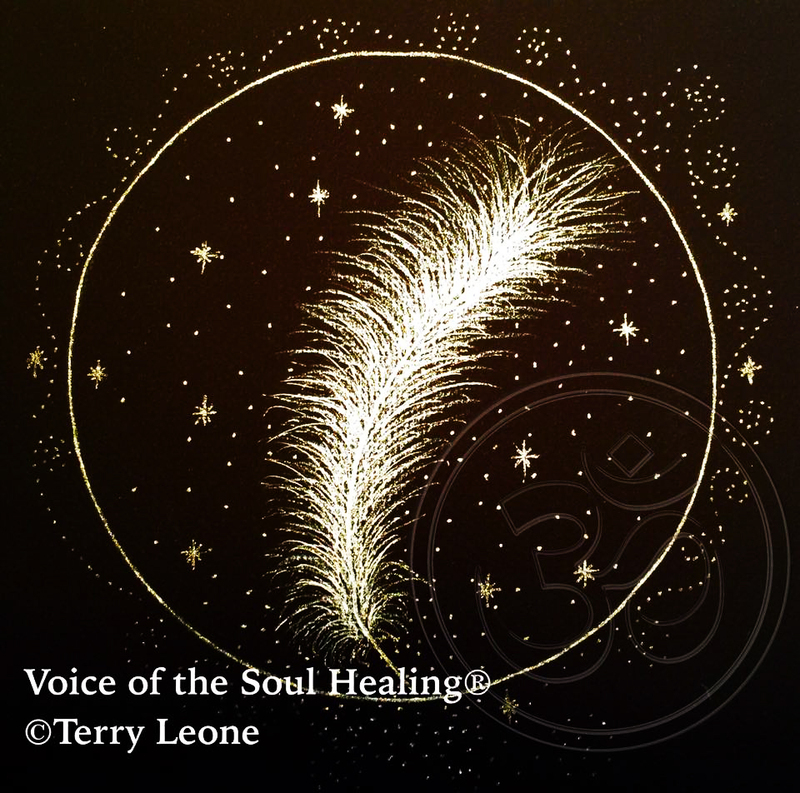 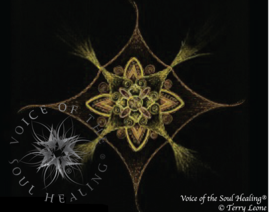 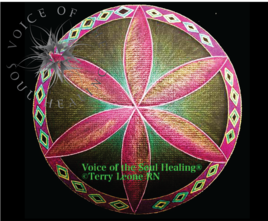 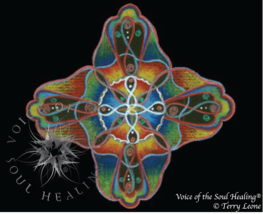 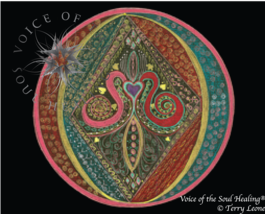 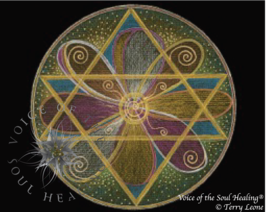 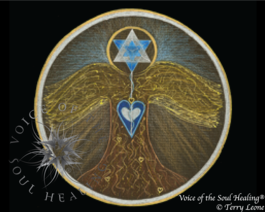 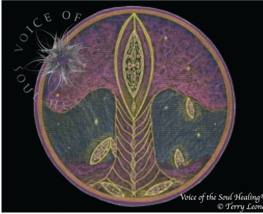 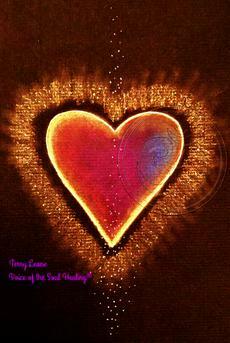 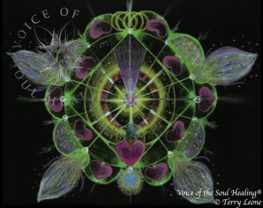 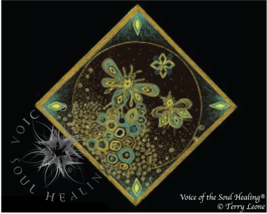 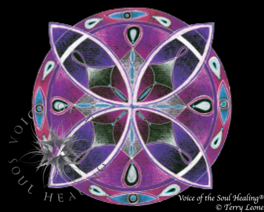 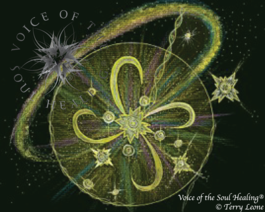 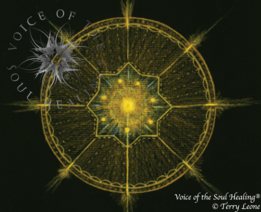 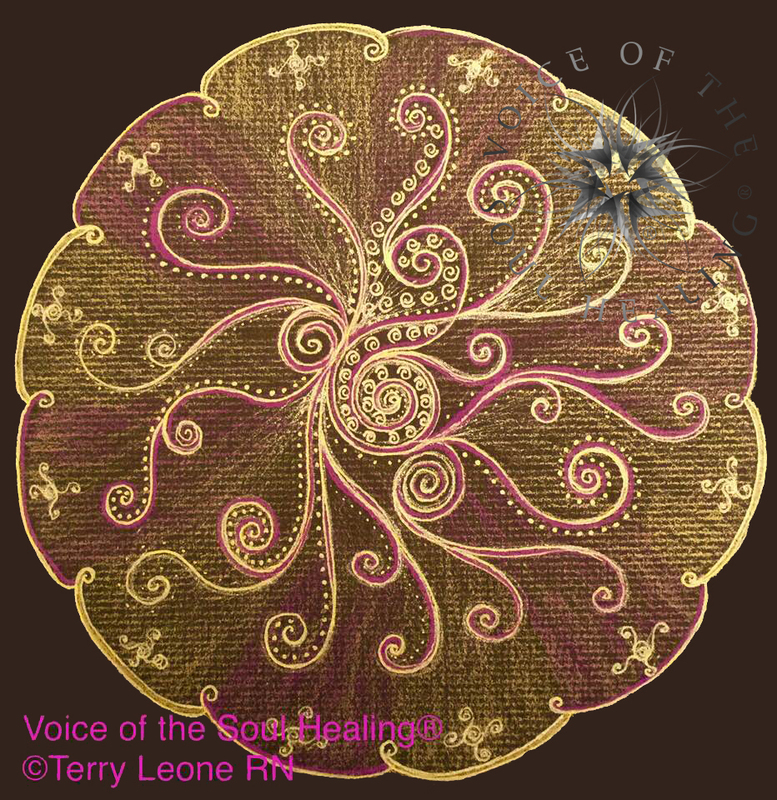 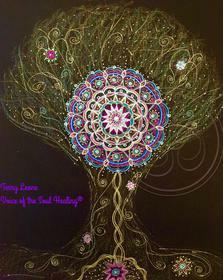 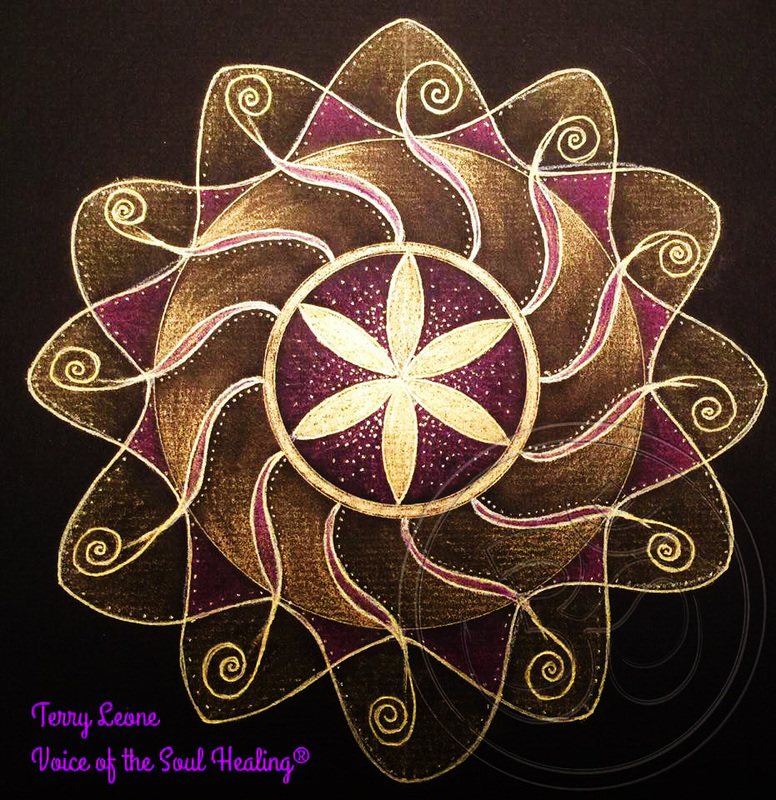 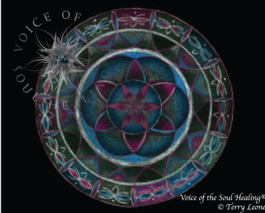 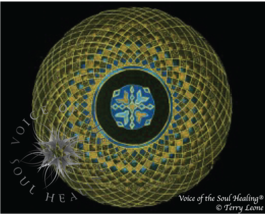 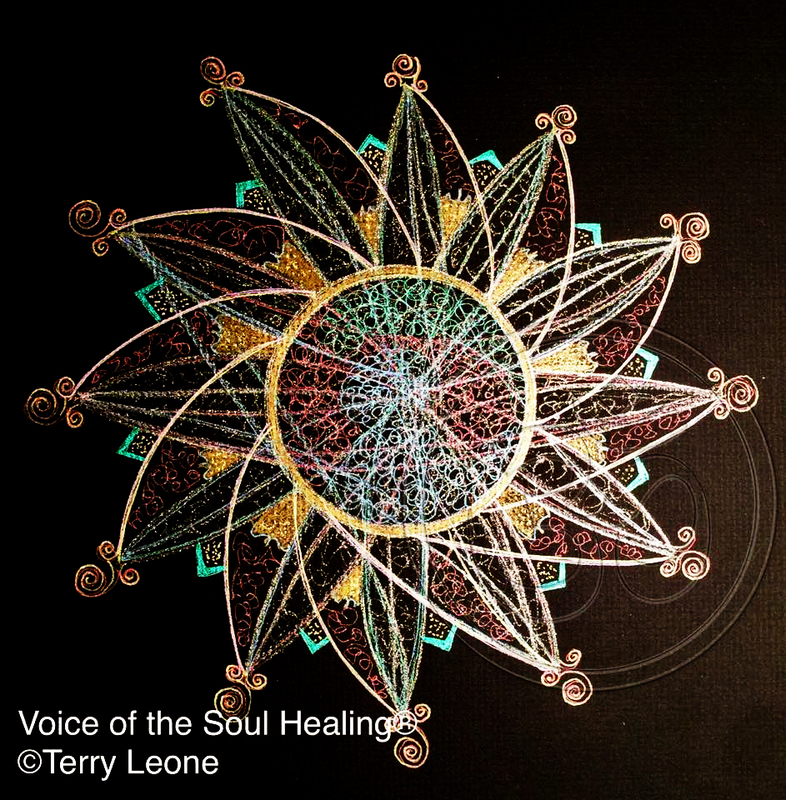 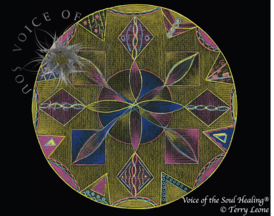 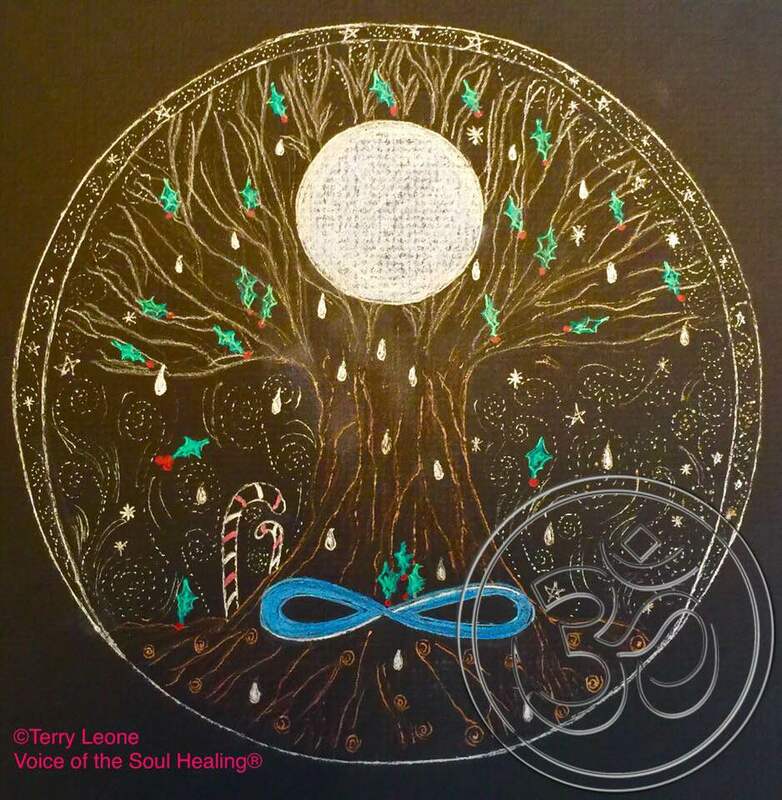 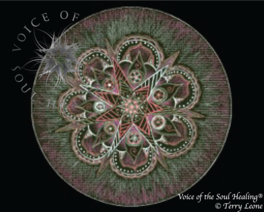 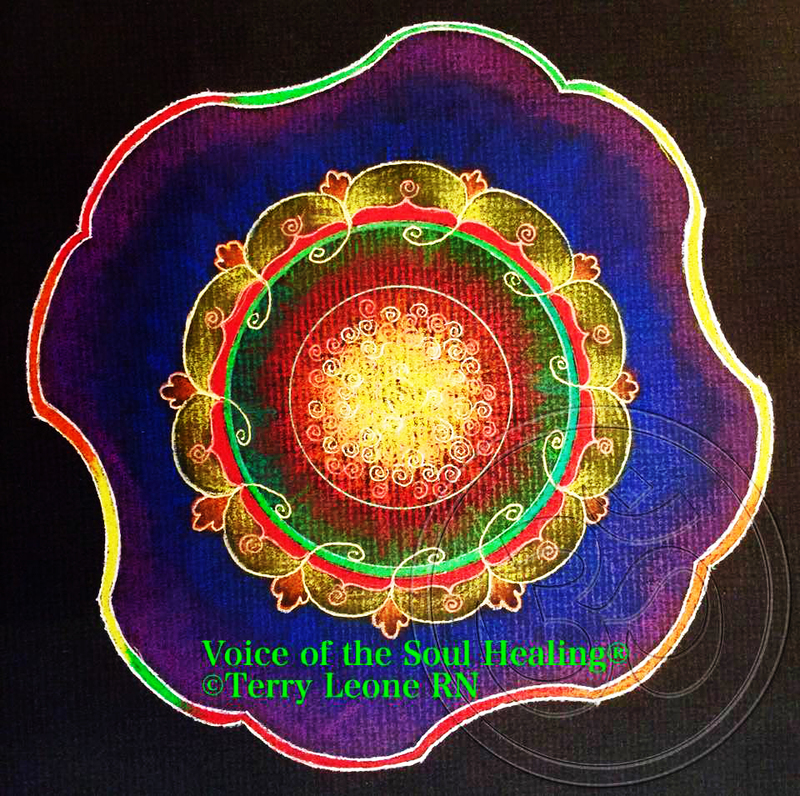 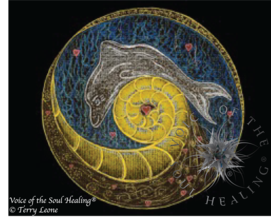 EACH DESIGN IS CHANNELLED FROM DIVINE SOURCE...SIMILAR TO AUTOMATIC WRITING, BUT TERRY’S WORK IS AUTOMATIC DRAWING. 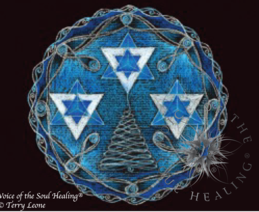 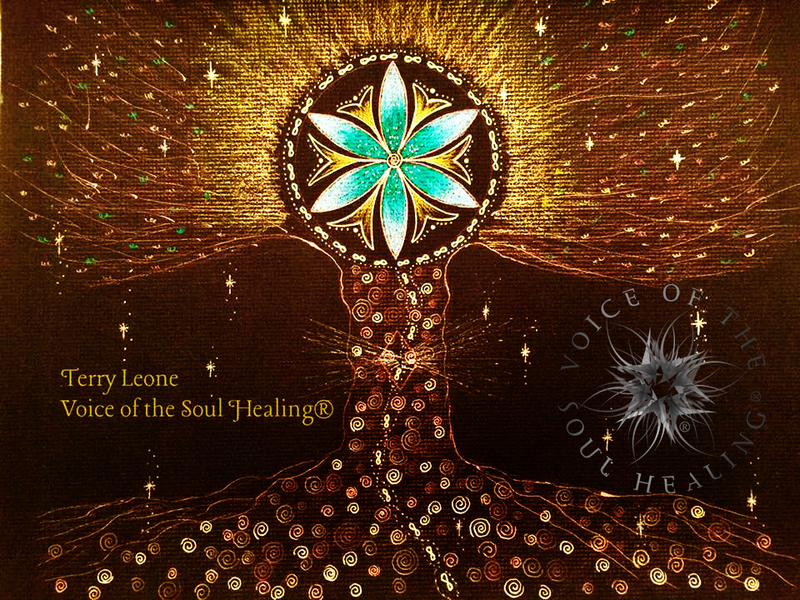 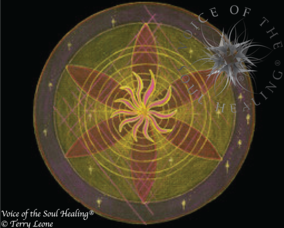 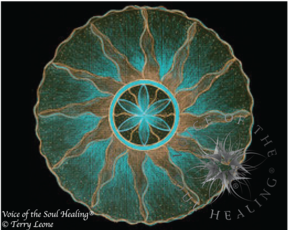 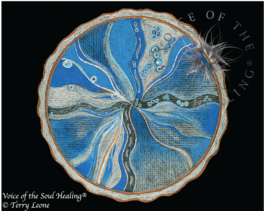 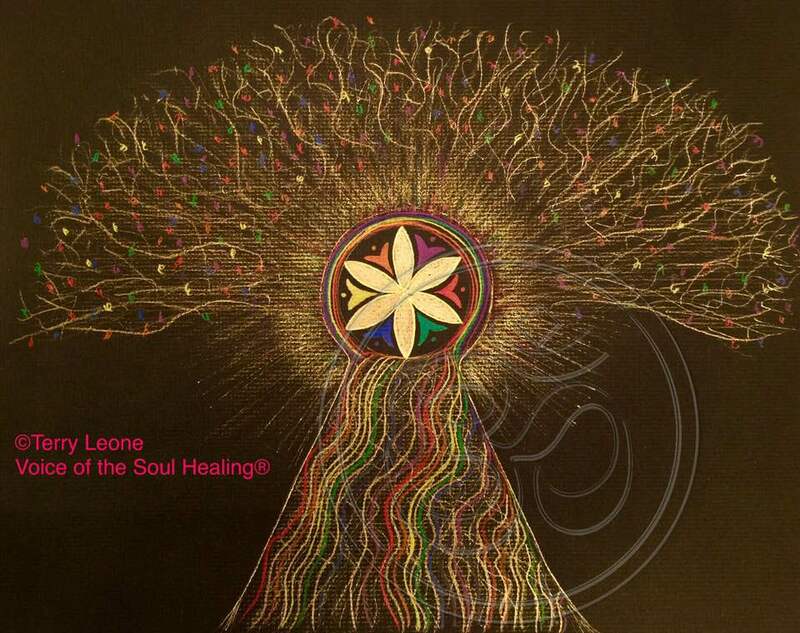 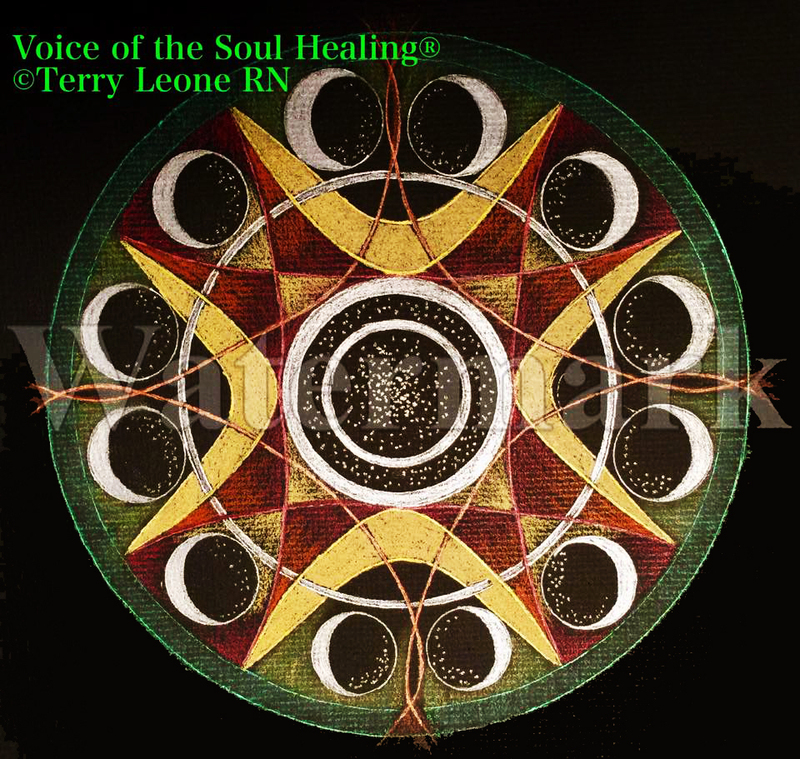 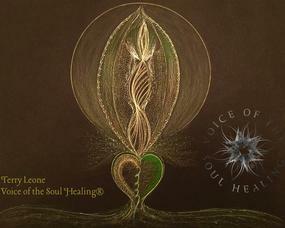 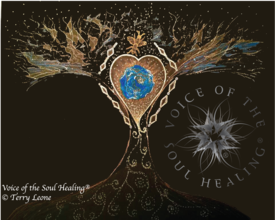 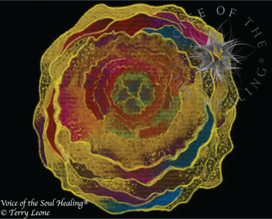 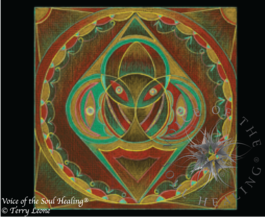 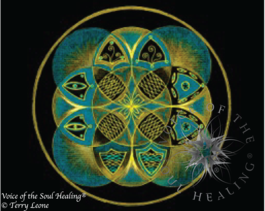 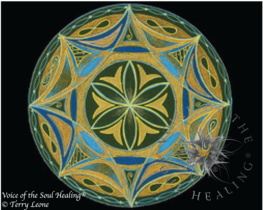 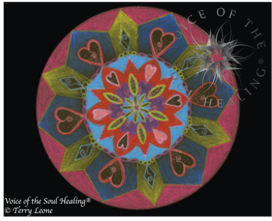 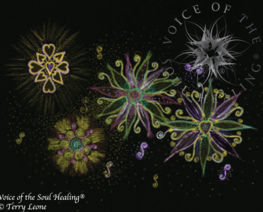 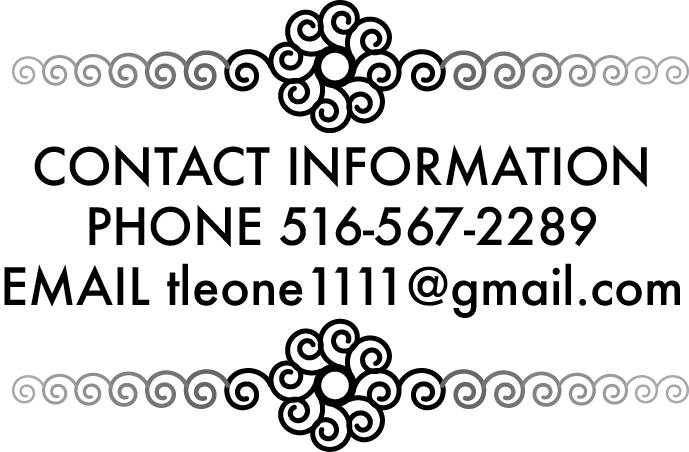 HER WORK IS TRANSFORMATIONAL TO THOSE THAT ARE OPEN AND READY TO RECEIVE FINE TUNED ENERGETIC TRANSMISSIONS OF HEALING. 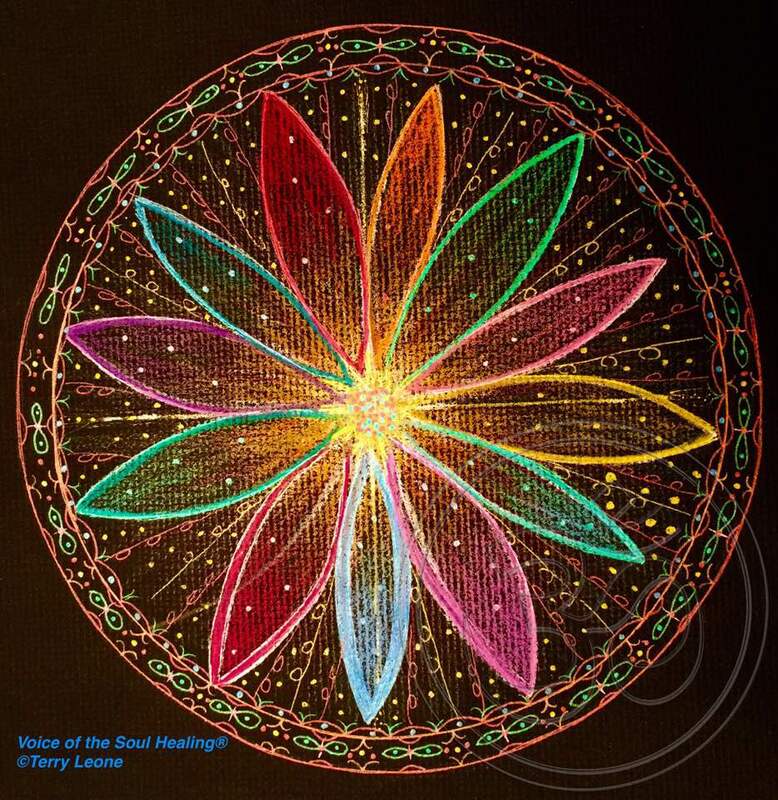 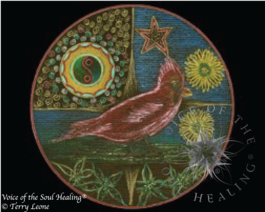 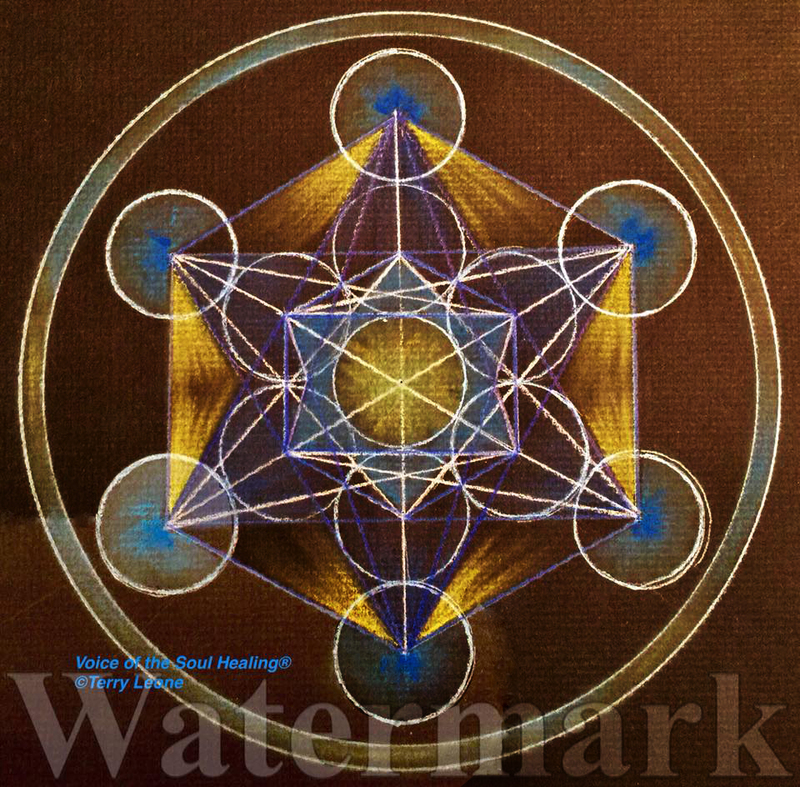 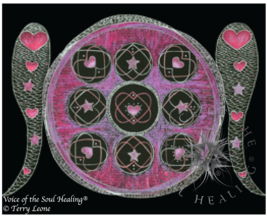 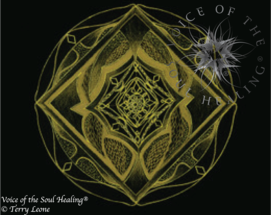 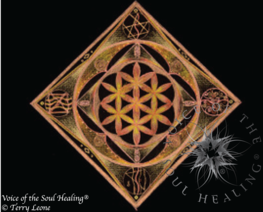 EACH DESIGN HAS A HEALING FREQUENCY THAT CONNECTS WITH THE OBSERVER. 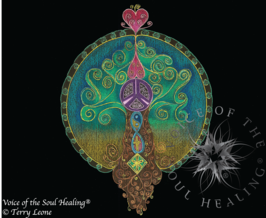 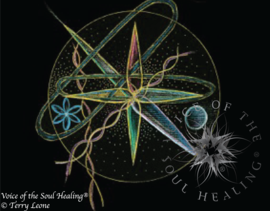 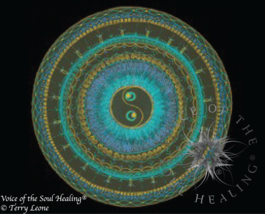 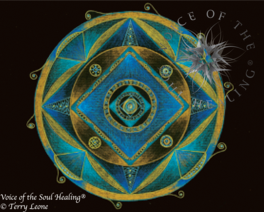 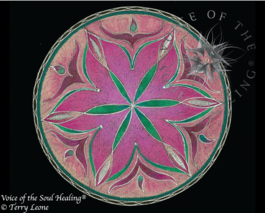 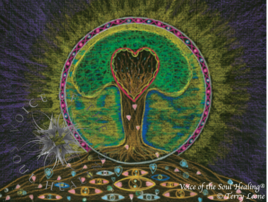 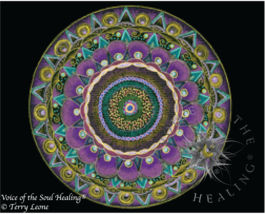 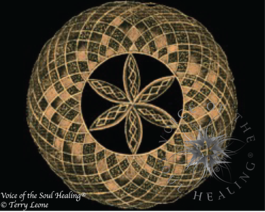 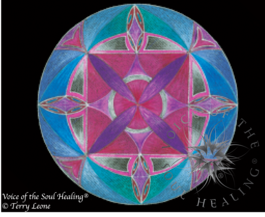 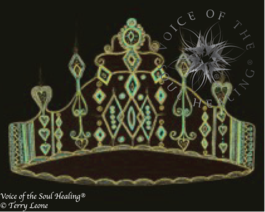 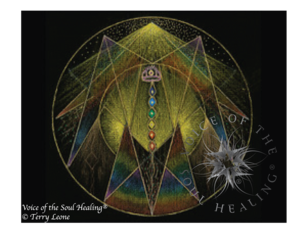 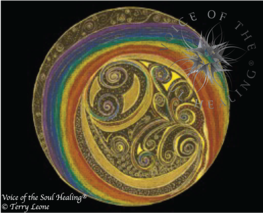 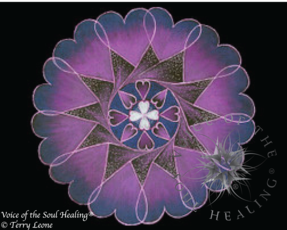 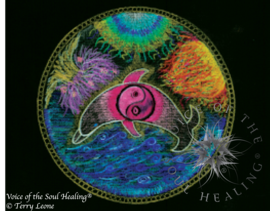 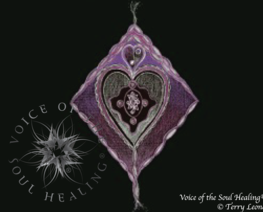 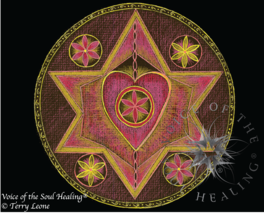 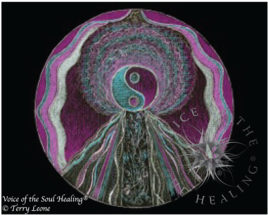 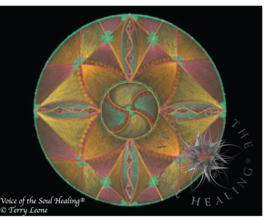 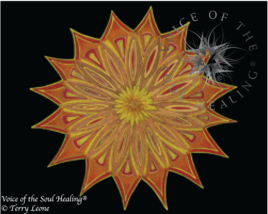 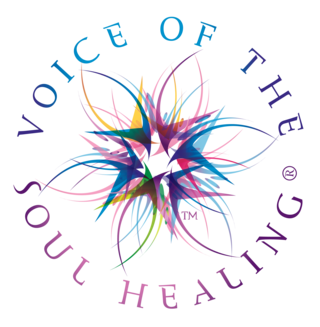 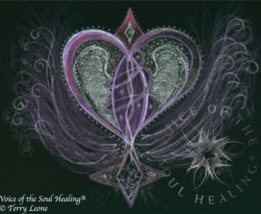 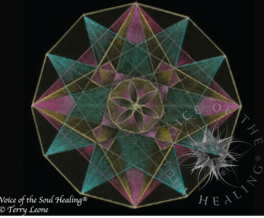 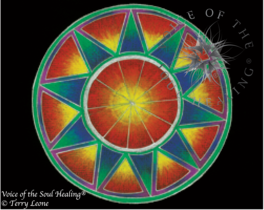 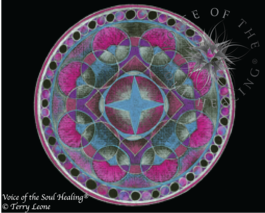 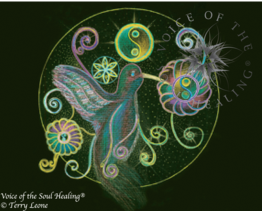 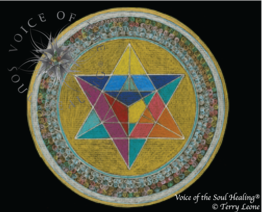 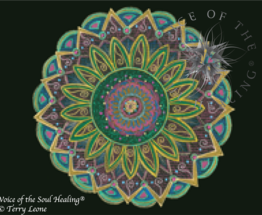 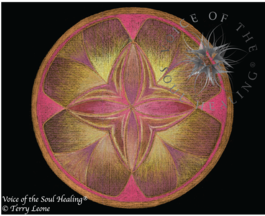 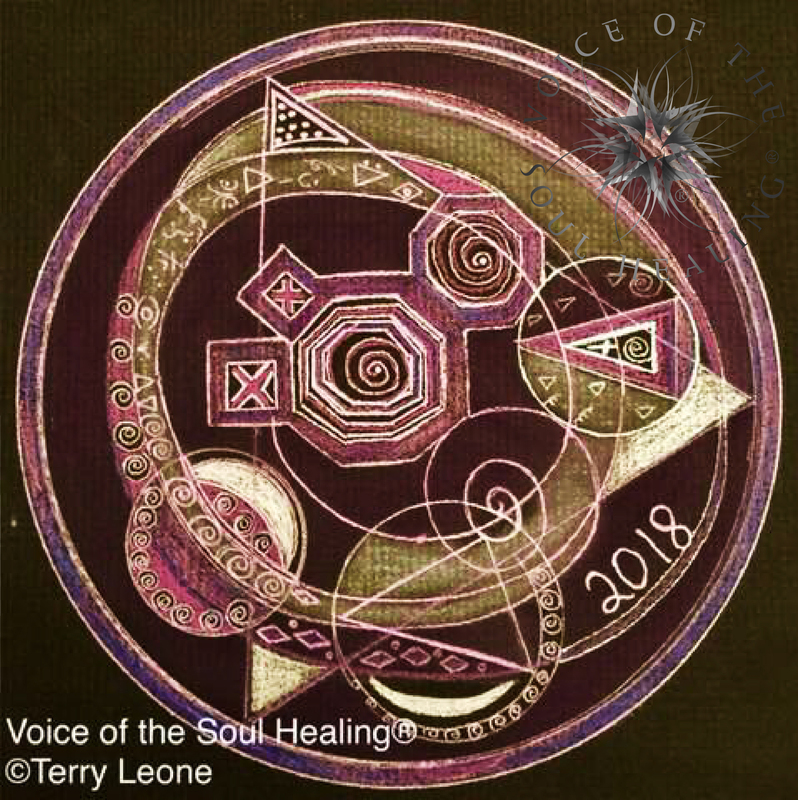 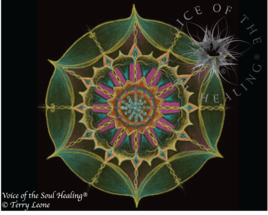 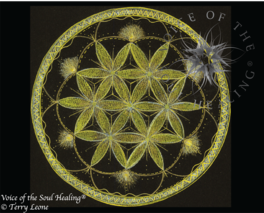 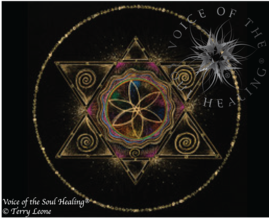 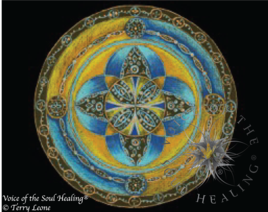 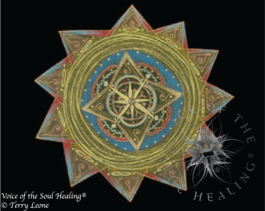 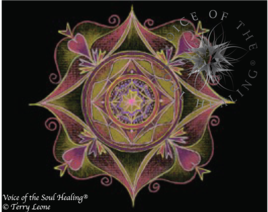 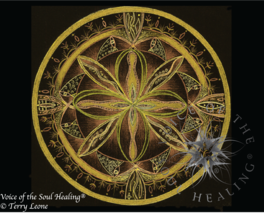 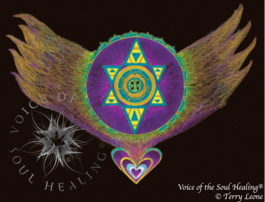 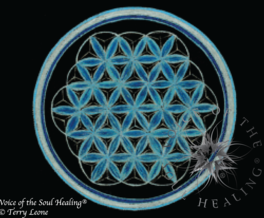 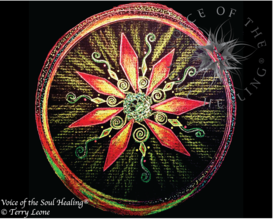 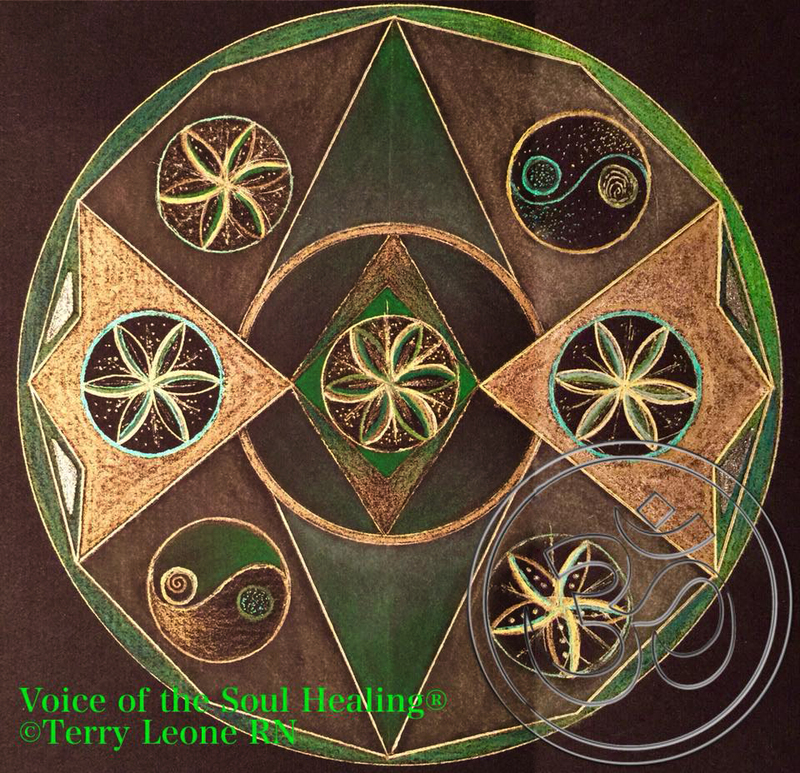 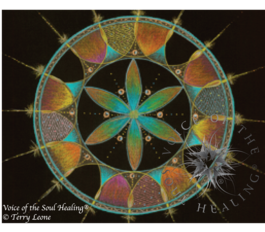 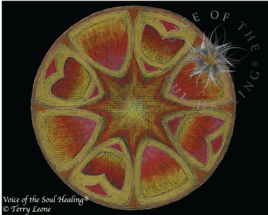 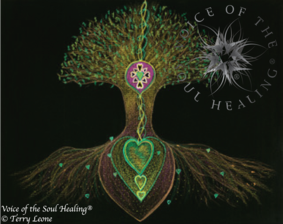 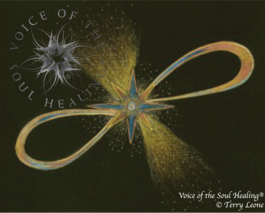 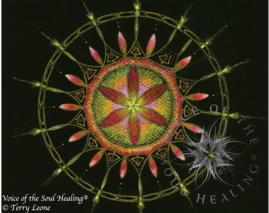 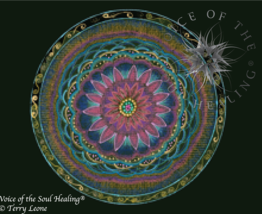 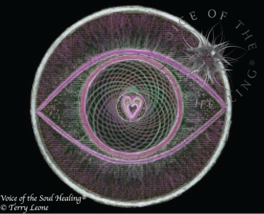 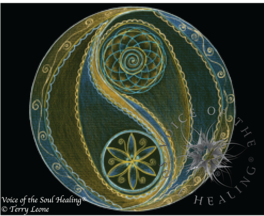 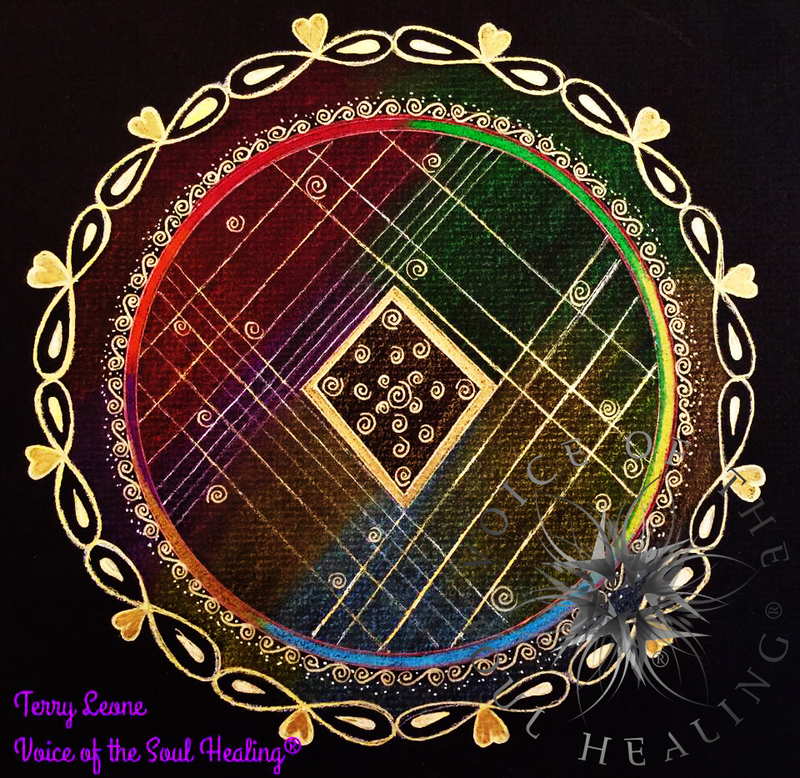 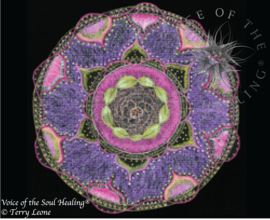 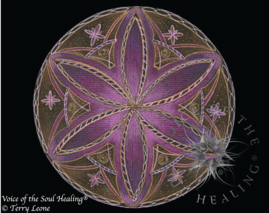 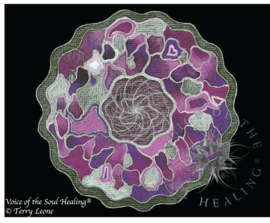 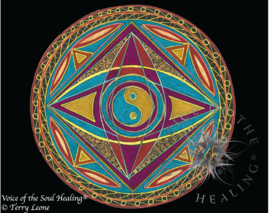 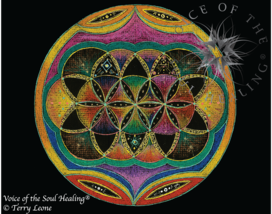 YOUR SOUL WILL RESONATE AND BE DRAWN TO WHAT IT IS IN ALIGNMENT WITH, HEALING CAN TAKE PLACE ON ALL LEVELS OF YOUR BEING, EMOTIONAL, MENTAL, PHYSICAL AND SPIRITUAL. 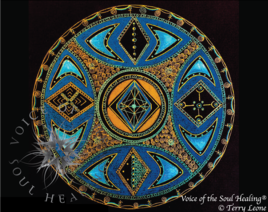 EACH PIECE IS SIGNED BY TERRY & TITLED IN METALLIC GOLD OR SILVER INK. 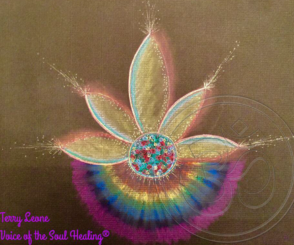 NEW DESIGNS ARE ALWAYS BEING CO-CREATED.